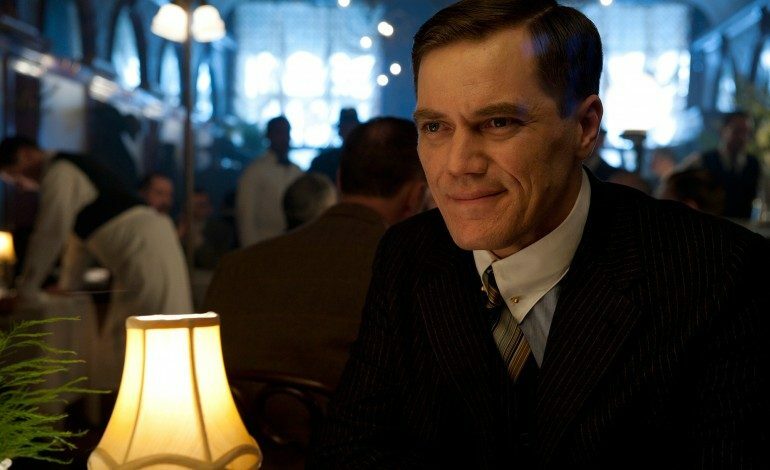 Variety reported this week that actor Michael Shannon (best known for his roles in films such as Revolutionary Road, Man of Steel, and his latest, The Shape of Water, as well as TV shows such as Boardwalk Empire) has been cast the highly anticipated television adaptation of The Little Drummer Girl. The AMC drama is based on the John le Carré novel of the same name. The Little Drummer Girl centers on a promising young actress named Charlie who befriends a man named Becker on vacation in Greece. When Becker is revealed to be an Israeli intelligence officer, Charlie becomes embroiled in an espionage case led by a man named Kurtz. Shannon will take on the character of Kurtz. He joins an impressive group of talent on the series. Actors Florence Pugh (who will play Charlie) and Alexander Skarsgard (Becker) are already attached to the project, and famous South Korean director Park Chan-Wook (Old Boy, Stoker) is set to direct all episodes. The Little Drummer Girl will be Chan-Wook’s first television venture. In addition to The Little Drummer Girl, Shannon has an additional television series on his plate. Shannon will play FBI negotiator Gary Noesner in Paramount Network’s series Waco, which will depict the 1993 standoff in Waco, Texas between cult leader David Koresh and United States federal agents. There is no word yet as to when The Little Drummer Girl can be expected to air. Waco airs Wednesday nights at 10pm on Paramount Network.